If you are a beginner in home recording, one of the most important topics that you should understand is balanced and unbalanced audio. 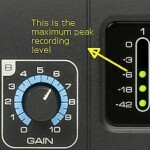 This will have a profound impact on the recording quality of your projects. 1.) Noisy recordings (presence of hiss, hum or distortion). 2.) Weak sounding recording (poor signal to noise ratio). 3.) 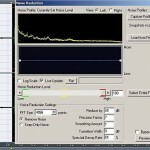 Poor capture sound quality of recorded musical instrument (guitars, bass, or even vocals). Therefore if you are looking forward to learn some techniques on how to make quality recordings; it is imperative you have good understanding of balanced and unbalanced audio. 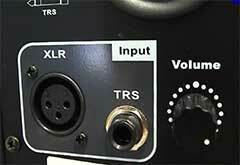 These two can have a strong impact on the quality of your recording signal chain. Balanced audio came from the fact that an audio signal travels in two different wires in addition to the ground. Why it’s called balanced is because these two wires actually carry the “same” audio signal except that the signal on the other wire is inverted(illustration below). The primary purpose of signal inversion is to get the benefit of noise cancellation at the receiving end. These “balancing” actions make it harder for the balanced transmission to pick up noise. It shows a balanced audio transmission of a 3 volt signal. What happens is that this signal is present in the two conductors/wires of a balance cable. But the signal on the other conductor (“cold”) is inverted so the polarity is changed (-3volt). At the receiving end, it is re-inverted resulting in a doubled signal (+6volt signal) based on the above illustration. What are examples of balance connectors commonly used in home recording? Balanced audio is the standard audio connection system used in professional recording/music production. The biggest advantage is noise immunity and clean recording signal. 1.) The source audio is outputted using balance audio method. 2.) The male(input) connector to the source audio device should be using balance connectors. 3.) 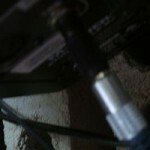 The cable transmitting the signal should be using balance audio transmission. 4.) 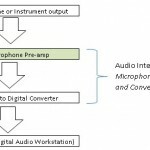 The output connectors to the input (receiving) device should also be using balance audio method. 5.) 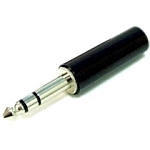 The input device receiving the audio signal should be designed to received balanced audio. In summary, the entire signal chain should be using balance audio connections. 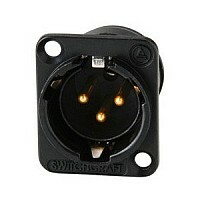 Single unbalance connectors in the signal chain can make everything unbalanced. Below is a good example of a perfect balance audio connection system. 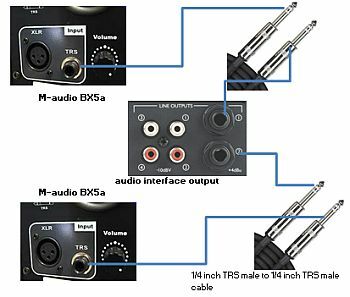 It illustrates how to connect M-audio Bx5a to an audio interface such as Saffire Pro 40.